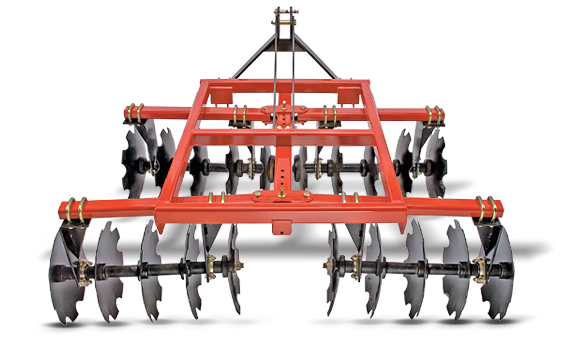 Specializing in seedbed preparation, the Farm King disc penetrates the crusty, hard packed soil and rejuvenates it for easy seed application. Hardened steel discs help churn the soil to reveal a nutrient rich layer and deeper rich soil texture. Notched and smooth blades are available in any combination. Each Farm King disc is Quick hitch compatible. Disc Diameter 18" 18" 20" 20"